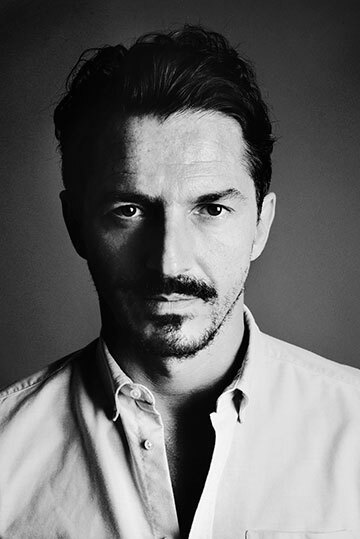 Winning a Menswear Designer of the Year CFDA Award in 2011 for his brand, Bastian also successfully collaborates with the label GANT on a recurrent line. 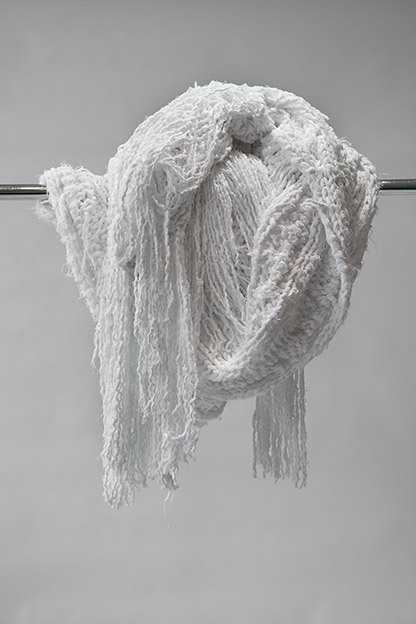 His scarf started with a very poetic idea: taking something ephemeral and transparent (gauze) and manipulating it into something tangible and strangely beautiful. 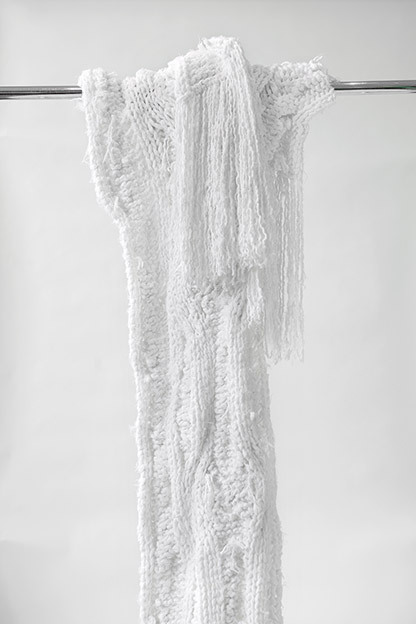 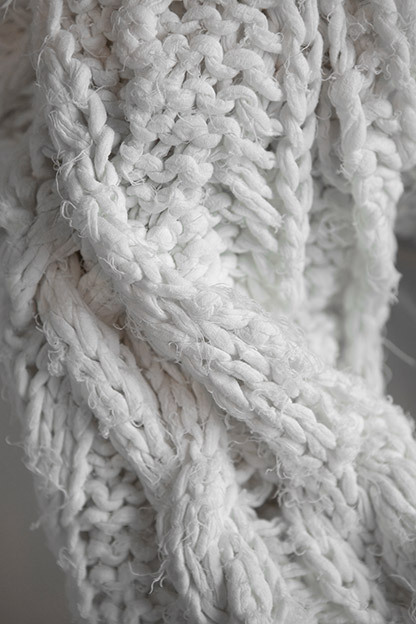 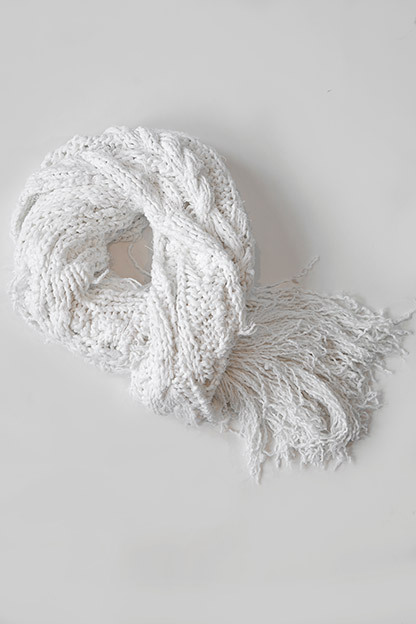 Its name – Ghost Scarf – came of the raw material it started from, but also because of the process it went through – it was destroyed and reborn in a new form.